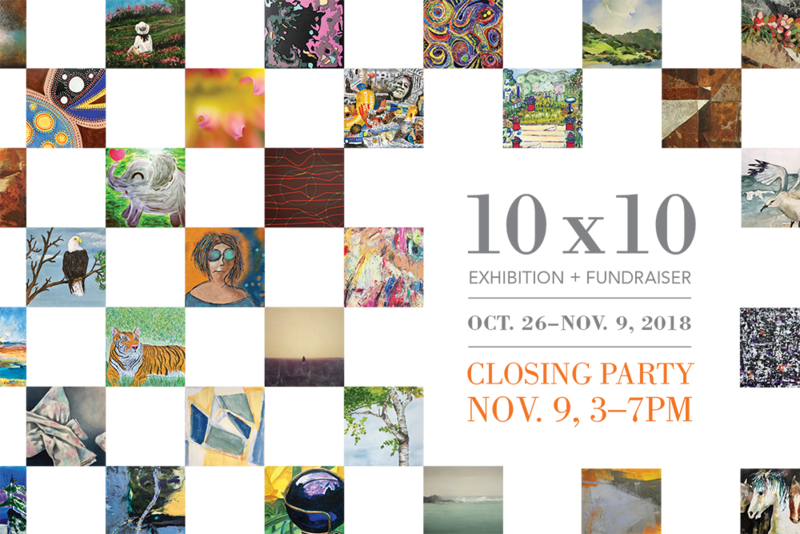 Join us for our Second Annual 10 x 10 Exhibition and Fundraiser! Each 10” x 10” artwork is generously donated by regional artists and priced at only $100. The exhibition will conclude with a festive celebration on November 9, when all work will be for sale. Viewing begins October 26. Visit early and often! Limit of one panel per person until 5pm. After 5pm, collectors will be able to purchase an unlimited number of panels until they are gone. Proceeds from this fundraiser help support every aspect of AVA’s art programming and mission, including art classes and workshops, exhibitions by established and emerging artists, scholarship and internship opportunities, as well as special opportunities for children and adults with disabilities. Thank you to all of the artists who contributed to this year’s 10×10!